Helpin the small furry ones! 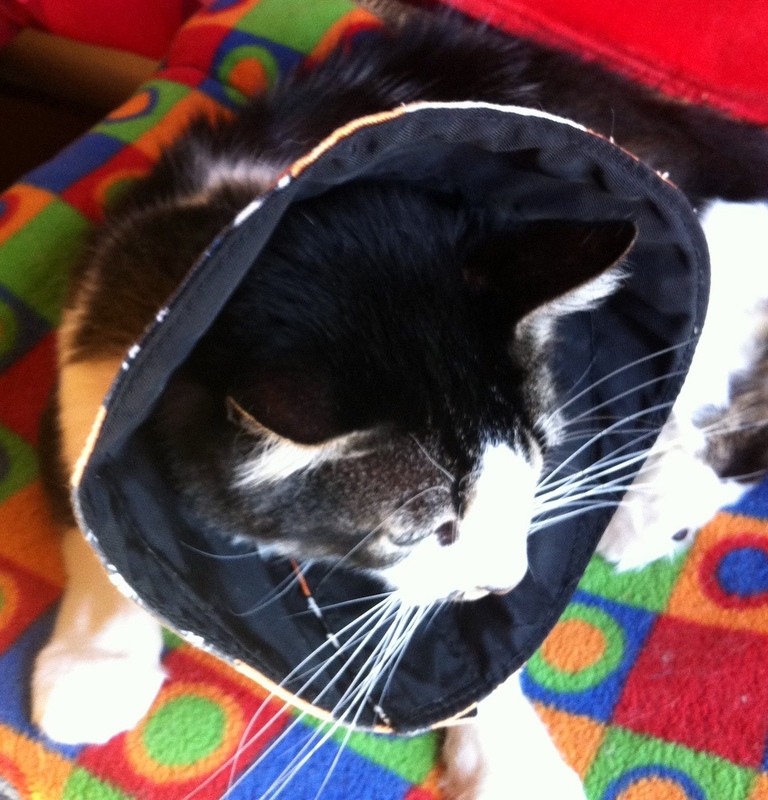 So I have been making and selling these Pet recovery collars for awhile now and happy that post surgery/injured pets can be stylish in one of my collars than those boring plastic or balloon style collars. I make them with a bit for real estate on the back area to be able to fold down when your pet is eating. These are mainly for cats. But some small dogs have benefited from them. Creating more today and tomorrow out of vintage and new fabrics from my stash pile! So I just posted up some of my bags on my ETSY page for sale! 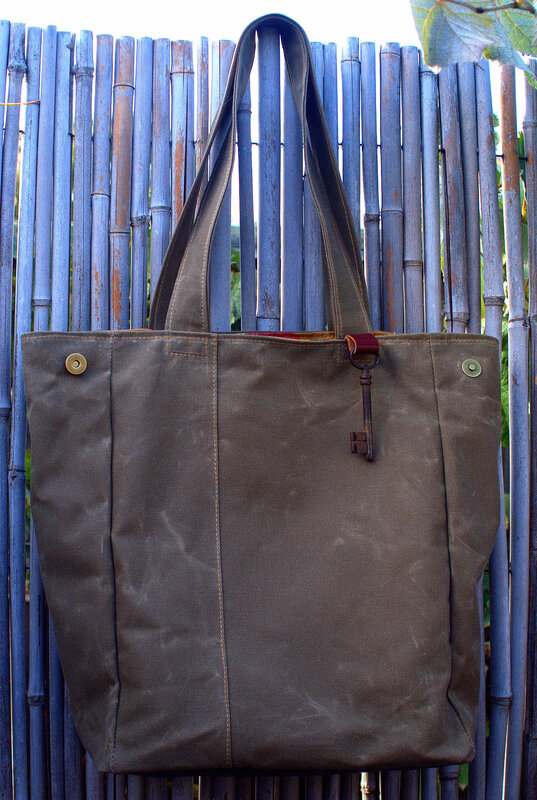 Santa Cruz Bagworks Large tote in Waxed Canvas and Leather. 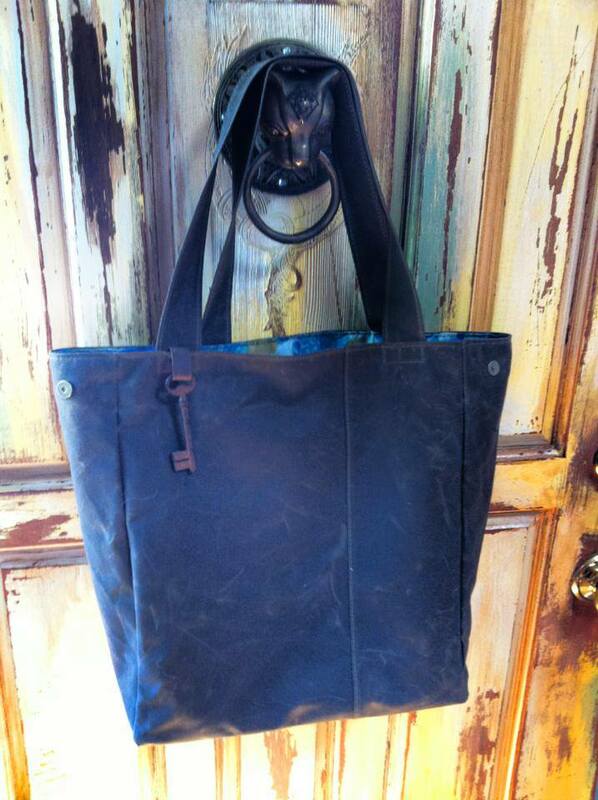 The newest designed Santa Cruz Bagworks totes!! These are super nice bags and need to be on your shoulder and carried about your town!! Get lots of ooohs and ahhhhhhs from passersby and know how cool you really are!! Will be making more and new designs to come! in the meantime come shop on my ETSY page for one of these or some t shirts, sewing pattens and more!!! Sew up some great gifts this season!! Well how crafty are ya?!!!! It’s always fun to make gifts for family and friends. Gifts that most will appreciate your time that you put into it. The love that went into homemade creations! If you are finding it hard to come up with some ideas for the perfect gift for someone, how about a Mackerilla Bag?! I’ve got lots of patterns to choose from. From easy to intermediate. We’ve got them all! I just added in some T shirts and some bags to my ETSY page! Still time to get crafty before Christmas! Are you still looking for ideas for gifts? Are you crafty? Can you Sew? Something like a nice Santa or Snowman adorned cookie bag, stocking or handpainted tin or a box and fill with your favorite cookies. For other Mackerilla Bag designs, check out my ETSY page for what Sewing Patterns are available! Also I have some of my little zip pouches , kids caps and more up for sale! DIY Peeps! Make a Mackerilla Cruzer bag! A fun summer project to do! My easy to follow instructional sewing pattern is available on my ETSY page! This fabric is also available on my Spoonflower page along with some of my other designs! Get a pattern and yardage and your on your way!!! 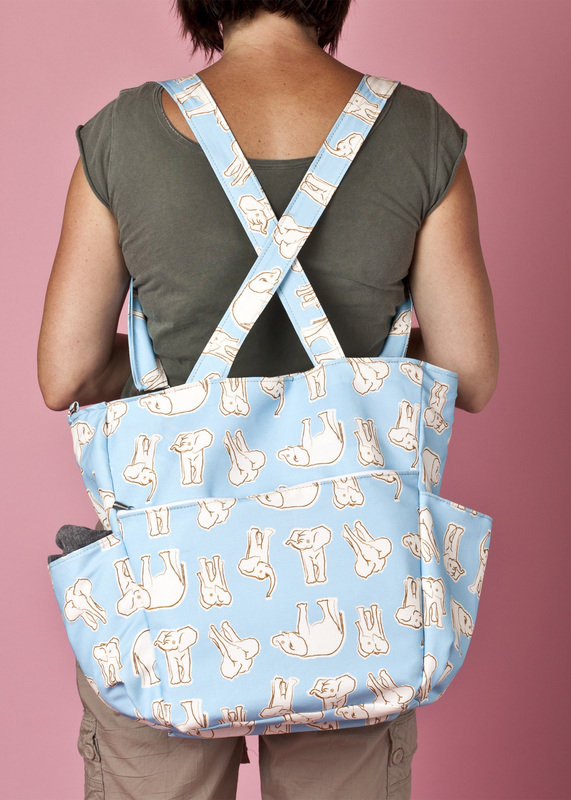 I just whipped up the “Crafty Pack” sewing pattern. I will be finishing up the pattern soon. Need the cover image and to proof it and then I will post it to my ETSY page. This pattern just like my others is available in PDF format for $8. You can buy this fabric in any weight material on my Spoonflower page. BUY The Detective Tinkerton fabric here! 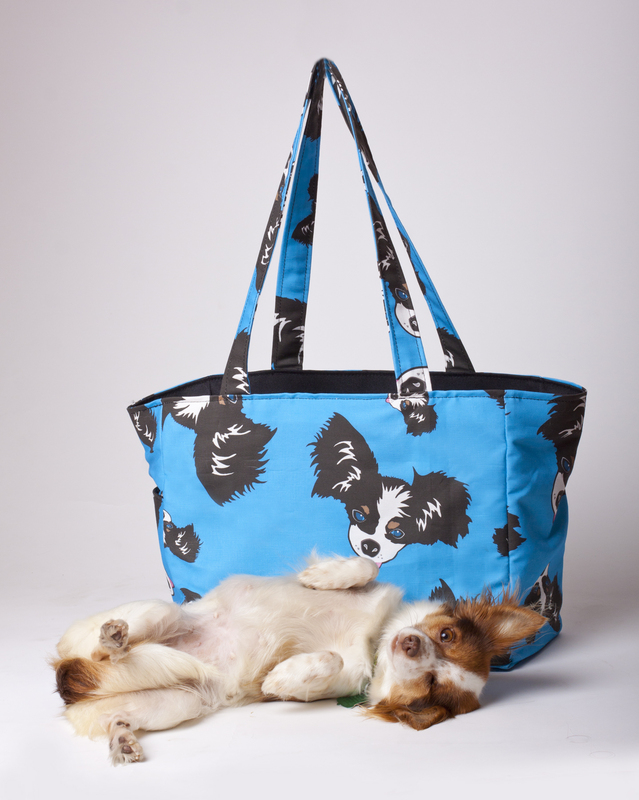 Being a craft show vendor and a pet show vendor with my Gimpy Pet products, It’s nice to have everything on hand. And when a show is super busy with tons of customers, you don’t want to be worried where your stuff is. You want to make that sale and move on to the next. I hate to make my customers wait. I know they want to pay for their stuff and move onto the next booth! This is also a useful pack to wear for anyone in the service industry! Waitresses and or Waiters, Show coordinators, Wedding coordinators, etc…… LOADS of people can use this item! 2 open rear pockets. One for your cellphone and the other to put your money pouch in for when you doing craft fairs! Got to keep your cash safe and keep it with you at all times. I don’ t like using the cash boxes. You have to always monitor where it is. And if you have to take a potty break, you either take it with you, have a friend or show mate keep an eye on it or hide it and hope no one has seen where you had put it!! Two pen or pencil slots, one open top pocket for your business cards. Easy access to hand them out without digging for them. 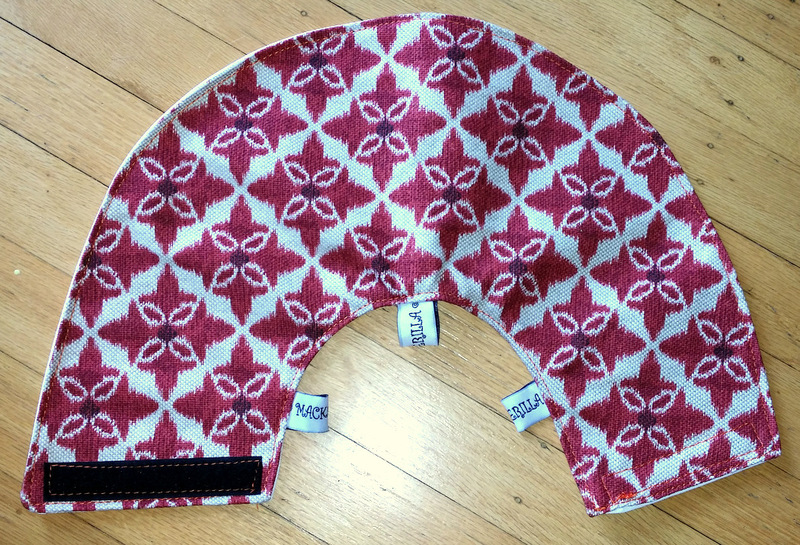 And then the roomy center pocket with a velco flap closure. Good for all your catch all items like small scissors, calculator, notes, clips, etc…….. The tie for securing around your waste is a easy wide shoe lace. You can get them super cheap at most shoe stores. I like them better than using a ribbon which can come undone and then your Craft Pack is around your feet! Shoe laces tied tight stay put!!! Selling more than sewing patterns!!! 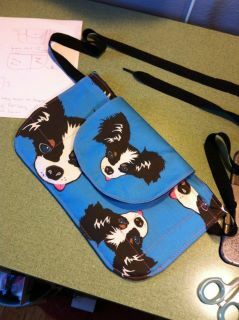 I have updated my ETSY page to include my dog leash designs for my product line for pets under “Gimpy Pets“. Which I will have available very soon. I ordered my first production run!! Yeah!!!!! I created a cartoon of my old doggie that I adopted named Detective Tinkerton who is my mascot for Gimpy Pets. He has gone over to the rainbow bridge. He had a great but short life with us. We loved him dearly. If your not familiar with his story you can read it here! He was my inspiration for this new adventure in my work life. 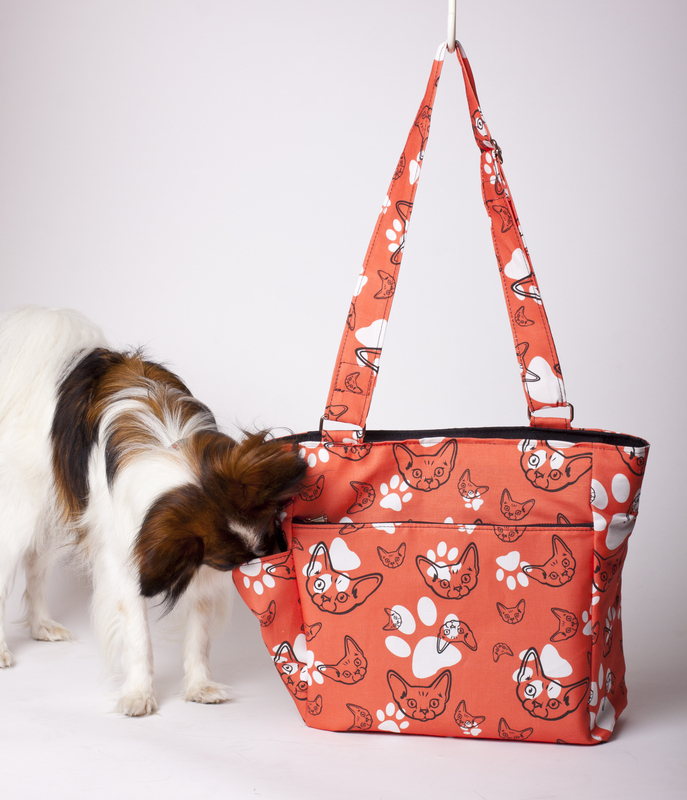 Don’t worry Mackerilla is still here and I will still be selling sewing patterns and bags! I designed up a disabled pet leash which comes in 3 colors. Pink Lemonade, Blueberry crush and Luscious Lime. They are 6 foot long leashes with my text and image sublimated on both sides of the webbing. It’s a 3/4″ webbing with nice nickel hardware. 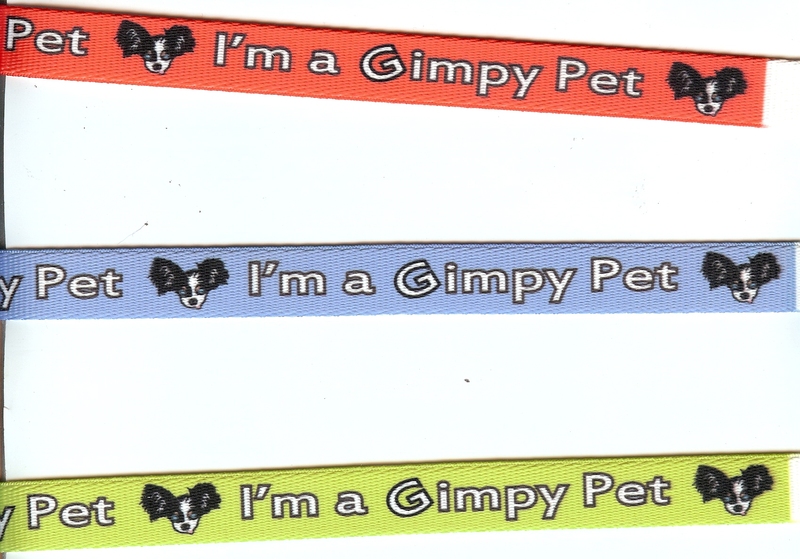 $1 of every Gimpy Pet product sold goes to local shelters and rescues. I am starting a fund for animals in need too! I have 3 disabled pets. Two dogs and one cat. My dog Oonagh has one eye. She was rescued by Paphaven from a breeder that basically had her for pumping out puppies 😦 She was covered with fleas and parasites inside and out. 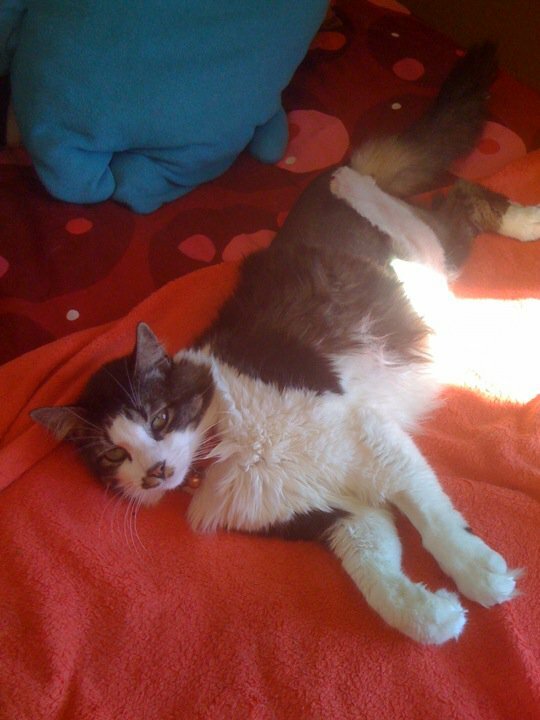 She had allot of scabs on her belly from who knows what. We don’t know what happened to her eye but she seems fine with it. No pain or problems. It’s just done gone! 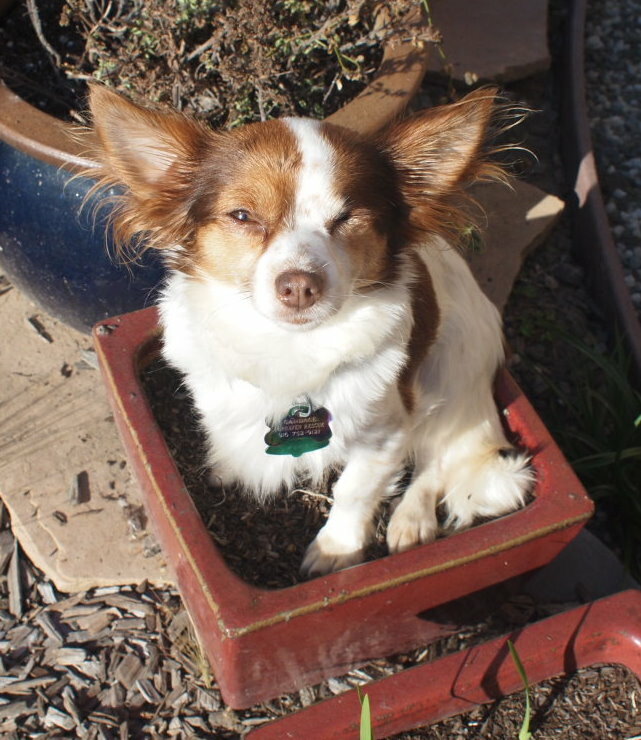 Here she is demonstrating the proper way of sitting in a garden pot! Our other disabled dog is Candy! She is another Paphaven rescue. She was in a few homes, then dumped in the streets to die. She was found very ill and Paphaven sent her to one of their fosters who cared for her and brought her back to good health. She has a damaged front leg from an old injury (which we think was from abuse 😦 ) that was never properly taken care of. She gets around just fine. She does have some aggression and fear issues. We are working through those and she is leaps and bounds better. We do have allot of work still ahead of us with her. She is a very sweet little doll! I am glad she is with us. She loves her family very much! You can certainly tell that! 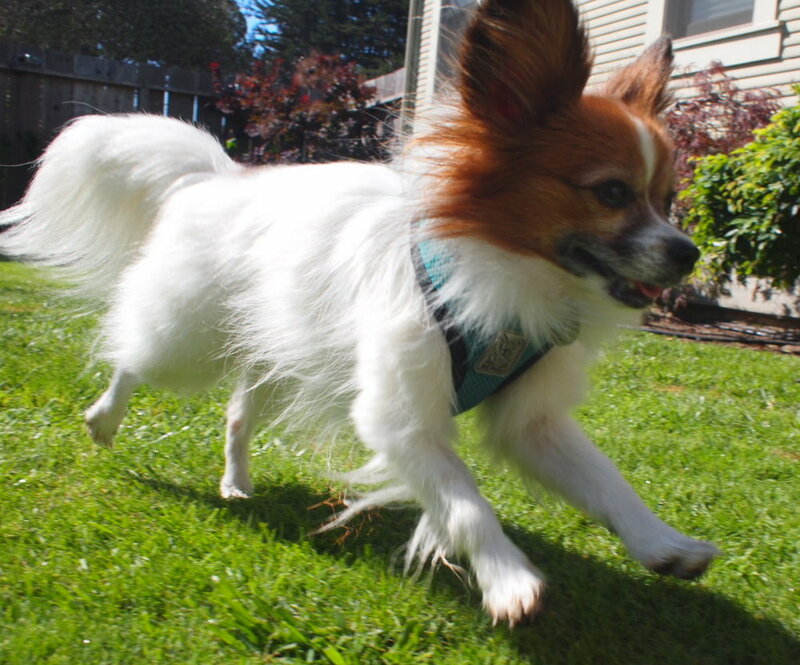 Here’s Candy running and playing! Please tell everyone about my leashes! Especially if they have a disabled pet. 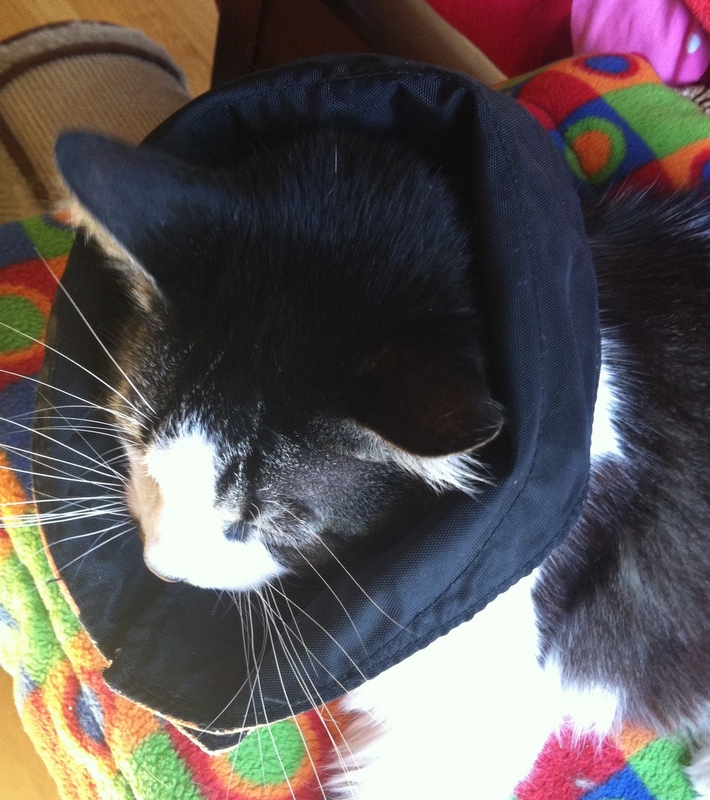 And please “Like” my Gimpy Pets on Facebook. Or become a subscriber to my blog/site!! !